Black headband w/ orange and red faux fur fox ears. Have you ever heard the phrase “like hiring a golden retriever to guard a hen house!”? No, of course you haven’t! Because the fox is the star of that old saying (and many others), and for good reason: they’re quick, cunning, alluring, and most of all, they’re sly. Foxes are basically nature’s secret agents. No matter how graceful and sleek they are, they’re all still a little wild underneath. 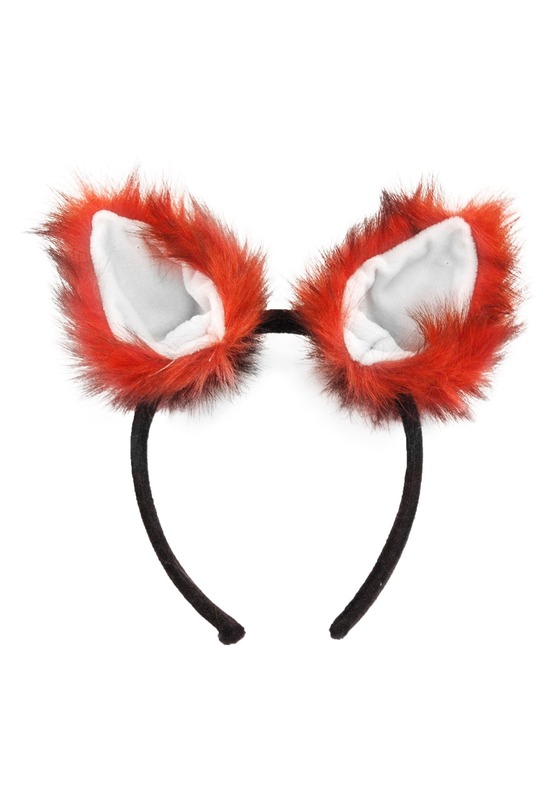 So call on your inner fox and show your wild streak with this Women’s Fox Ears and Tail Set. 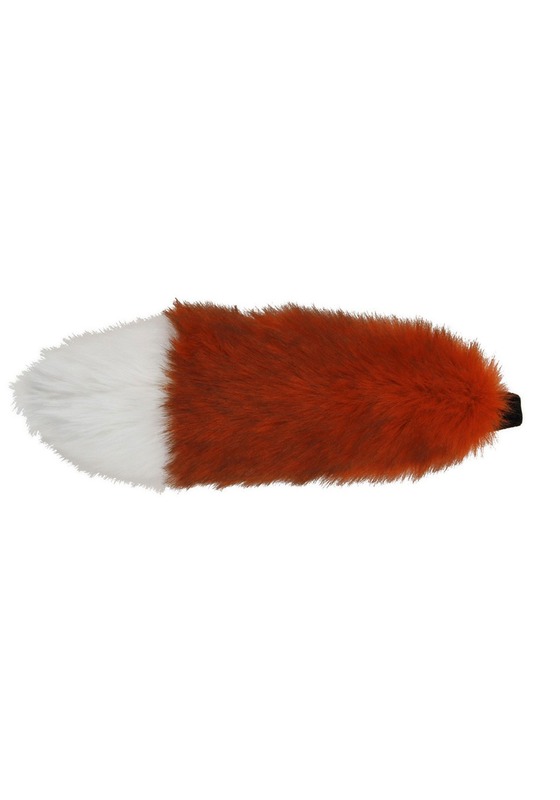 The bushy tail comes with a Velcro attachment that secures easily to a belt loop, and the fuzzy orange ears are attached to a headband that’ll turn you into a fox in a heartbeat because an animal known for its slipperiness and speed shouldn’t have to spend all night putting a great costume together. Fooling the animal kingdom into believing you’re a vixen shouldn’t be this easy. But then again, you’re a fox…and outsmarting the competition is what you do! This set comes with the essentials for your foxy transformation but you're going to need other apparel. We recommend wearing all-orange or brown clothing to compliment your tails and ears. Just remember, the more fur, the better!